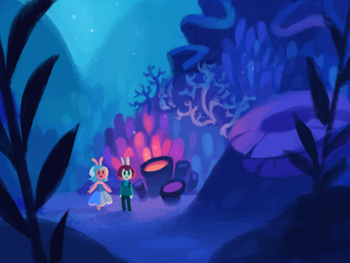 Help fund the publication of Cucumber Quest, an online fantasy comic for all ages, in book form! 1,409 backers pledged $62,953 to help bring this project to life. We've reached $35,000 in just under a week! Thank you so much! This means the books will include 8 new pages of extra content about the world and characters. Just three days in, we've surpassed our original goal by over $20,000. Whoa!